Heat a chargrill pan over medium-high heat. 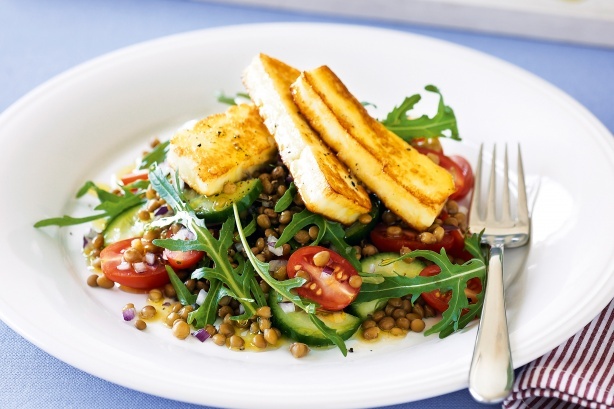 Cut haloumi into 8 pieces. Spray pan with some olive oil. Cook quickly for about 1 minute each side. Transfer to a plate. 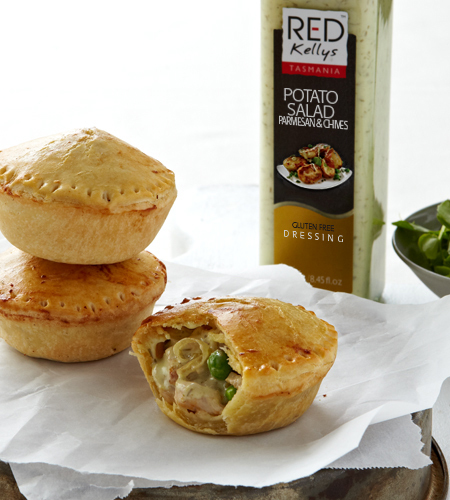 In a small bowl, gently whisk together olive oil, lemon juice and Red Kellys Lemon Myrtle Dressing. In a big salad bowl, combine the cucumber, tomato, onion, olives and mint leaves. Pour over the dressing and season with salt and pepper. Toss well and serve immediately topped with the halloumi.